Hakima El Haite is Morocco’s Minister for the Environment. After the Paris Agreement, adopted last December, what do you see as the main objectives of the COP22, which you are hosting from 7 to 18 November? The COP21 led to a really historic agreement and allowed us to build global solidarity around the question of climate change. With the Paris Agreement we moved from confrontation to cooperation. It was an agreement of hope. And this success was repeated in New York in April when the deal was signed by 170 countries, then again when it entered into force on 4 November, after being ratified by 65 countries. Faced with this strong public message, the expectations of the most vulnerable countries will be even higher in Marrakesh. This is why the international community has to come up with answers. The most vulnerable countries don’t need more announcements, they need money. Financing will be the key to the COP22. It is vital for the implementation of the action plan. The climate is changing, citizens everywhere know it, they experience it. Rivers are drying up, which has an impact on access to drinking water, food security, energy and so on. Drought drives conflict between communities and climate-related migration. This year, no fewer than 68 million people have moved from south to north. In Paris, all these people were promised action, financing, support, technology transfers. Developed countries committed to reducing their CO2 emissions. Some even promised to stop emitting altogether. But above all, there was a shared commitment to adopt an energy mix that would help us reach carbon neutrality. Paris was a first, with complete commitment from all parties, but in Marrakesh, we will have to start drawing up action plans. Well, the other innovation of the COP21 was the involvement of the private sector. This came in the form of 75 coalitions across 12 sectors that are ready to change their production and consumption methods. A first global forum brought together 250 private sector actors in Rabat in June, under the guidance of Gérard Mestrallet [the former CEO of energy company Engie]. 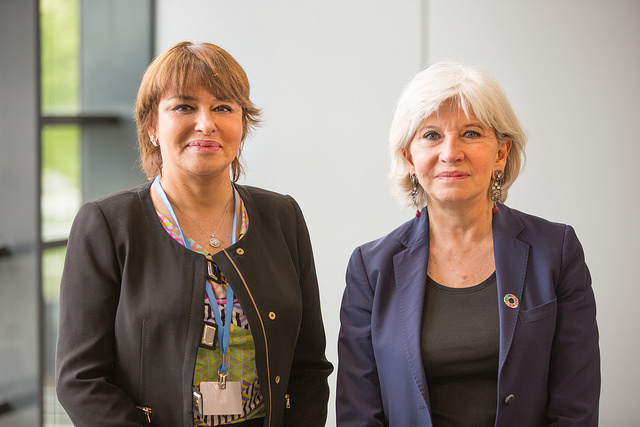 The mission of the two climate champions [Hakima El Haite herself and Laurence Tubiana] is to maintain this dynamic of North-South transfers. We see a demand for coherence and climate-friendly investment worldwide, including incitement measures and without distorting competition. States are currently struggling to keep up with the pace of businesses. For example, 56% of energy investment has been made in renewables. Business is innovating and inventing the world of tomorrow. And this dynamic cannot continue without the businesses of the Global South, which came together in a summit in Rabat in September. The oceans were brought into the COP22 thanks to the work of a number of coalitions and associations. Ocean protection is closely linked to human rights and food security. Oceans produce one-fifth of our proteins, they support 7% of the world’s population, they provide many of our medicines and 80% of trade happens across oceans. Most of the problems associated with climate change are concentrated along coastlines and they play an essential role in tourism. It is vital that we protect our oceans and they deserve a prominent position at the COP22. One of the priorities is to designate protection zones on a global scale. As a woman, a mother of three daughters and grandmother to one little girl, the women’s cause is particularly important to me. But it is a fight I lead in the name of all the women of the world, who are the first to be affected by the risks linked to climate change, migration, flooding, etc. Women also represent 40% of the global workforce. The first global women’s summit for the climate was held on 30 September and 1 October under the patronage of King Mohammed VI, who is the leading defender of women’s rights. And draft decisions on gender will be made during the COP. There should be no discrimination, all citizens of the world should be included. In a more general way, I hope women will be more involved in decision-making and that the question of gender will be integrated in all decisions. The Kyoto Protocol took eight years to be validated. Decisions on the climate are today made between specialists and negotiators. Traditionally, the COPs have been meetings of ministers of the environment. But we needed to go up to the level of heads of state to get the transformational Paris Agreement. 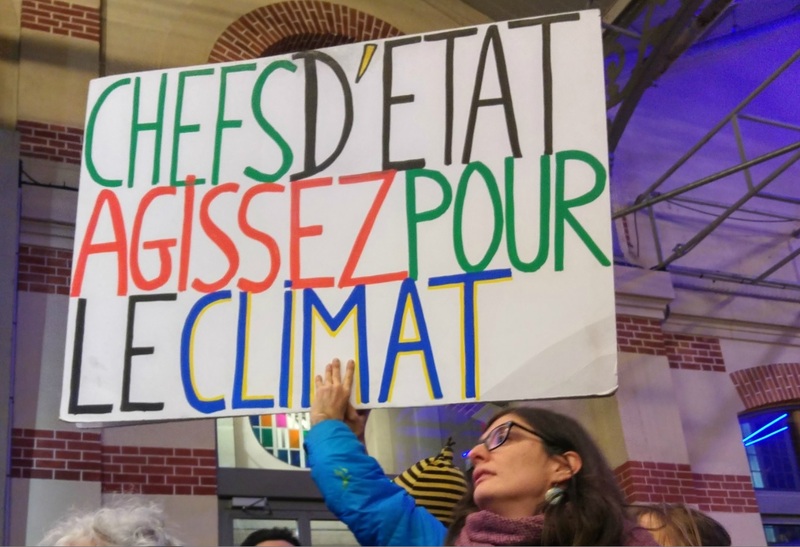 And beyond heads of state, the subject concerns all government ministers, including ministers of education, who should integrate climate resilience into their curriculums. This is purely and simply a societal project, and as such, it must be led by the representatives of the people. They should take ownership of it, as they are the ones that will pass the laws that will change the world. I applaud the work of the French senators and members of parliament, who invited me to France several times. I have also met with five parliaments in Central America. Parliaments, in general, seem to be mobilising. What will be the hallmark of a successful COP22? The COP22 will be a success if we manage to maintain the trust and spirit of solidarity that was born at the COP21. To do this, we have asked all countries to come up with long-term strategies translated into investment plans. It is true that establishing this roadmap is a complicated exercise, but it is our responsibility to make sure we know how much money is available to us. The credibility of the Paris Agreement and the international promises that were made depends on the ability of the international community to pool its public and private resources to support the energy transition in the most vulnerable countries. A landmark global accord to combat climate change officially entered into force on Friday (4 November), putting pressure on countries to start executing plans to slash greenhouse gas emissions to limit global warming.